Your student is a winner! 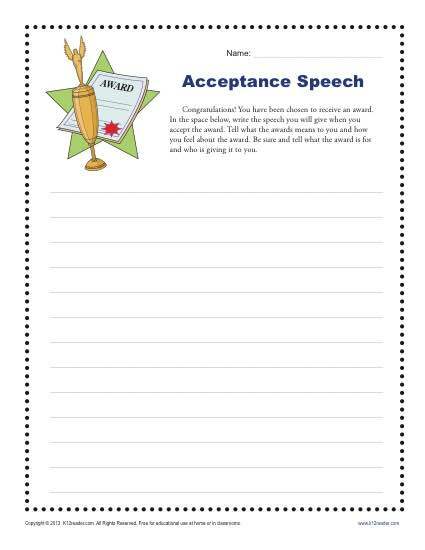 Now it’s time to write the award acceptance speech. Your student can get creative with this writing prompt. Use it as practice for Common Core Standards for writing narration for 4th and 5th grade, or for other students as appropriate.